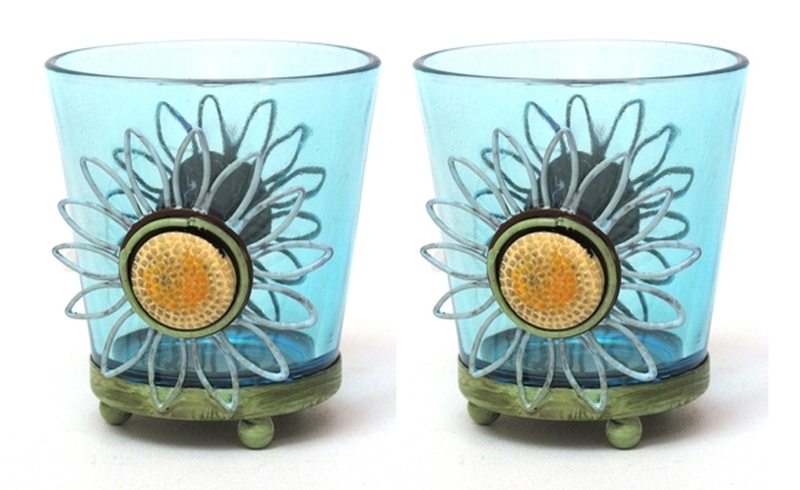 Hand crafted blue round votive holder comes as set of two. Since it is hand made there maybe some rough edges. Keep out of the reach of children. Measures 3.25"H x 3"W x 2.5"D. Frame is metal and blue glass.